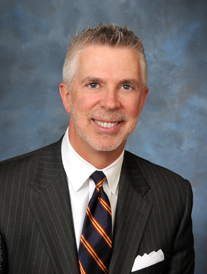 Vincent J. Cassidy is Vice President, Majesty Title Services, a Division of LandCastle Title Group, a title insurance and settlement company servicing the needs of real estate professionals, builders and mortgage lenders on the West Coast of Florida. Mr. Cassidy started Majesty in 2006, and sold the company to its current owner in 2018; his current responsibilities include managing the West Coast operations for LandCastle Title Group, LLC. Prior to forming Majesty in 2006, Mr. Cassidy spent 25 years with JPMorgan Chase & Co., in several leadership positions most recently Executive in Charge of its Client Access business, providing technology solutions to the firm’s global clients for their Treasury Management needs. Mr. Cassidy is actively involved in real estate investing as the Managing Member of Florida Investors Capital, LLC, Majesty Properties, LLC and VMEK, LLC. Mr. Cassidy is a graduate of the State University of New York at Stony Brook with a Bachelor’s Degree in Economics, and the University of Virginia’s Graduate School of Retail Banking, with honors. He is a licensed Title Agent in Florida. He is a Past Chair of the Florida Land Title Association, Past Board Member of Tampa Metropolitan YMCA, Past Board Member of the Greater Tampa Chamber of Commerce and its Executive Committee. He was a founding Board Member of GulfShore Bank, which was sold to Seacoast Bank in 2017. He was appointed by Governor Scott to the Board and is Chairman of the Board of the Tampa Hillsborough Expressway Authority. Mr. Cassidy is a member of the Tampa CEO Council, the Tampa Economic Club, Tampa Yacht and Country Club and is an alumnus of Impact Tampa Bay. Mr. Cassidy resides in Tampa Florida with his wife of 36 years and their two daughters.